For Garfish regulars, you may already know that our restaurants have attracted a few awards over the years and this is something we’re quite proud of in-house. Awards like Savour Australia’s Restaurant and Catering Awards for Excellence are probably our best known. In fact, our status as one of Australia’s Best Seafood Restaurant relies on this sort of recognition. It lets our customers know what sort of quality to expect and it also recognises all the hard work and effort of our staff. This year’s 2012 Savour Australia™ Restaurant & Catering HOSTPLUS Awards for Excellence – Sydney & Surrounds winners were announced on Monday 24th September. More than 280 businesses were recognised for their outstanding commitment to quality and service at a gala industry night of night’s celebration at Doltone House, Darling Island Wharf. For those who aren’t familiar with these awards, the Sydney & Surrounds Awards for Excellence encompasses businesses in the Sydney metropolitan and Blue Mountains / Central West regions and was the final area of NSW to be announced in the National Awards for Excellence program. The Savour Australia™ Restaurant & Catering HOSTPLUS Awards for Excellence are the most dependable and authoritative guide to Australia’s best restaurants and caterers. Venues are judged by a team of trained judges who anonymously dine at each venue or catered and evaluate the experience based on specific criteria in accordance to the Restaurant & Catering Evaluation System (RACES). 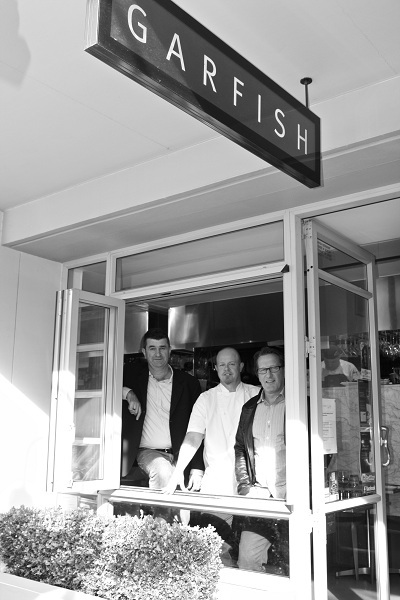 The 2012 New South Wales Restaurateur of the Year was received by Mark Scanlan & Mark Dickey, founders of Garfish Restaurants, for their outstanding achievements and success through best business practice and leadership within the industry. In what has been a tough climate for restaurant and catering businesses over the last twelve months, with a huge growth in wage costs and regulation that has made most restaurants only marginally viable, Garfish continues to perform well. 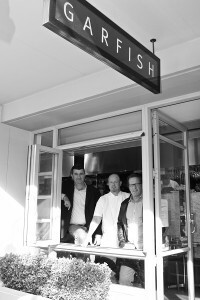 Since opening their first Garfish restaurant in Kirribilli back in 2002, Mark Scanlan and Mark Dickey continue to build on the success of the Garfish brand. This award, which is a first for the pair, recognises their individual efforts and achievements during this time. In such a tough climate, it’s great to see other local businesses performing well and being recognised. Other recipients on the night included Live n’ Cooking at Lizottes, Dee Why, Hugo’s Manly, Clareville Kiosk and Jonahs. Winners of the metropolitan and regional categories for each state now compete to become the best in their category nationally at Savour Australia™ Restaurant & Catering HOSTPLUS Awards for Excellence – National. The National Awards are being held in at the Brisbane Convention & Exhibition Centre on 29 October this year.